Here at Air Conditioning Excellence, Inc., we know how important it is for your business to have a working air conditioner. Considering how hot it here in South Florida, you just can’t afford to do without AC when the comfort of customers and employees–as well as the functioning of equipment–is at stake. 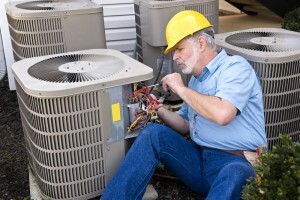 For all your needs, you can trust us for Luxaire commercial AC repair Fort Lauderdale. AC Excellence has been in the HVAC industry for over 3o years. We know what it takes to get Luxaire air conditioners back in working condition promptly. 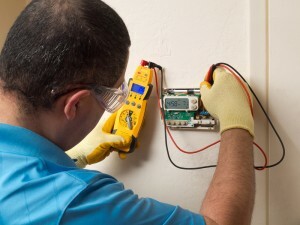 Our technicians have the training, experience, skills, and tools to help you out of any situation. Maybe you’re not yet sure whether you need to call for Luxaire commercial AC repair Fort Lauderdale FL. Don’t worry–you can use the following useful information that we’ve prepared based on the most frequent air conditioning problems out customers face. Your AC unit has a drain system which removes the condensate that forms as a result of heating and cooling processes. This keeps the unit from leaking onto your property. If your equipment experiences condensate leak malfunctions, you can face expensive property damages and even health risks. It’s best to address this issue immediately. If you suspect a leak, don’t hesitate to call Air Conditioning Excellence, Inc. for Luxaire commercial AC repair Fort Lauderdale. Our prices are reasonable, and we’re available every day at your convenience! Air conditioners rely on sophisticated electric controls to automatically heat and cool in accordance with your programmed preferences. When these controls become damaged, your AC loses its cooling capacity. This results in a lack of cooling even when outwardly everything look fine. Sometimes this occurs when you have a unit that’s too large for the space you’re cooling. The constant switching on and off burn out wiring. In any case, the best course of action is to call a reputable contractor for Luxaire commercial AC repair Fort Lauderdale FL. You can reach us at (954) 368-0655. You definitely want to be sure your AC unit has enough refrigerant. Without it, your air conditioner simply can’t keep your place of business cool. If you realize you have a refrigerant deficiency, a possible cause is a leak. It’s a good idea to give us a call so that we can get to the bottom of the issue and solve it appropriately. Don’t ever feel that you have to choose between saving money and getting a new air conditioner when you need it. In addition to Luxaire commercial AC repair Fort Lauderdale, we offer financing for the purchase of new AC units. That means you can literally get an air conditioner for your business today and pay-as-you-go. Don’t you sometimes feel like technology has the bad habit of breaking down at the worst possible times? Fortunately, it doesn’t matter when you need HVAC help since we have 24/7 Luxaire commercial AC repair Fort Lauderdale Florida. Call us on a weekend or in the middle of the night–there will always be someone to go to your place of business and get your AC in shape. We’re eager to work with you. Contact AC Excellence today! (954) 368-0655. Share the post "Luxaire Commercial AC Repair Fort Lauderdale FL"